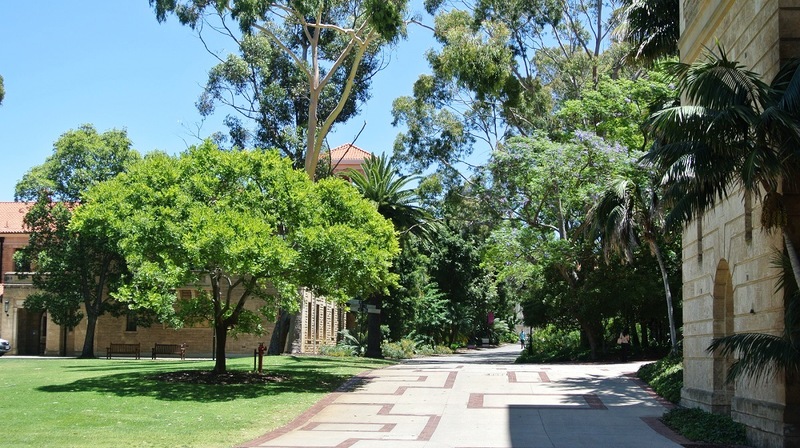 The University of Western Australia is committed to developing new programs and improving existing ones to make its activities more cost-effective and environmentally efficient. This displays the University's annual data for energy, carbon, water and waste. The University is committed to global sustainability. We are a member of the United Nations Sustainable Development Solutions Network and continue to make advances in sustainability-related teaching and research. Our sustainability initiatives cover a wide range of areas, including campus planning, energy, water, waste and more. This commitment to sustainability is embedded in our design and construction standards. Campus Management's water efficiency projects are aimed at reducing total water consumption on campus. To help achieve the University's goal of reducing water use by 20% per staff and student by 2020 from 2008 levels, Campus Management has carried out the following projects. Water tanks have been installed on campus to capture rainwater and wastewater from the process water plants. The water captured contributes to the irrigation of the University's glasshouses as well as reused for cooling of research equipment. Annually 400KL of water is saved by reusing this wastewater. Water is a vital resource, and its conservation and efficient use by consumers will reduce water wastage and production costs. Energy is used to extract the water, to treat it, to pump it to the customer and then remove, treat and dispose of the wastewater. By reducing the demand for both water and wastewater, Water Corporation provision costs are also reduced. In April 2016, the University was recognised for its water conservation efforts when it received an award as part of the Water Corporation’s Water Efficiency Management Plan program. The award recognises the efforts made by UWA in achieving an improvement in water efficiency of 10 per cent or greater during the 2014-15 financial year. In 2015, the University achieved a 10 per cent saving in total water use (or a 5 per cent saving in water use per equivalent full-time staff and student) from 2014 levels. This equates to approximately 28 000kL or $60 000 in savings. UWA researchers are working to create a more sustainable future worldwide. With topics spanning climate change, food security, healthy ecosystems, sustainable cities and more, the University's researchers are tackling some of the most urgent global challenges. Read more about sustainability research at UWA.